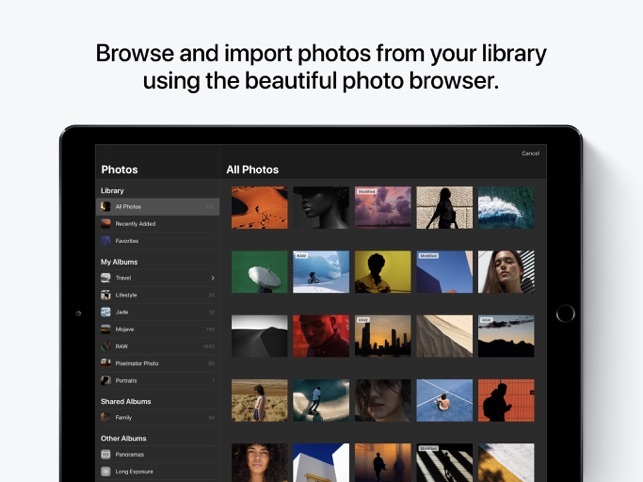 Pixelmator Photo 1.0.2 brings a number of improvements and fixes to make the editing experience smoother. • When using Pixelmator Photo, TrueTone displays will no longer change the color temperature of the screen as much. • When attempting to save to Photos after previously denying access, the alert will be more informative. 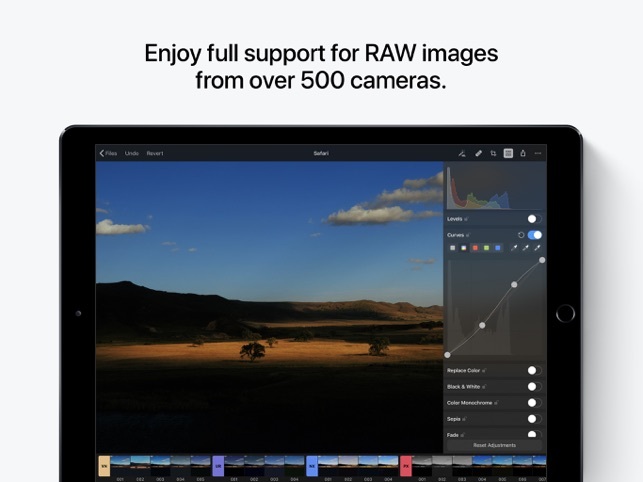 • When attempting to open an unsupported RAW image, the alert will be more informative. • It’s now a little easier to move the Color Adjustments pane around as the draggable area has been expanded. 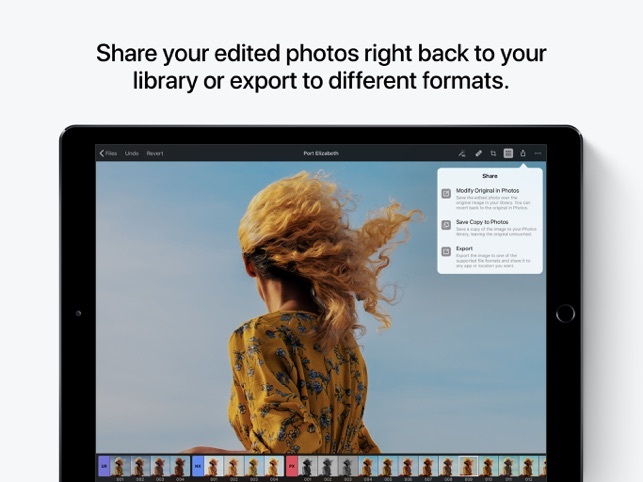 • To make it easier to repair areas at the edges of photos, you can now start repairing slightly outside the bounds of the canvas. • The keyboard will now be dismissed with any touches not related to text field editing. • The preset thumbnails of cropped images were being displayed incorrectly. Fixed. 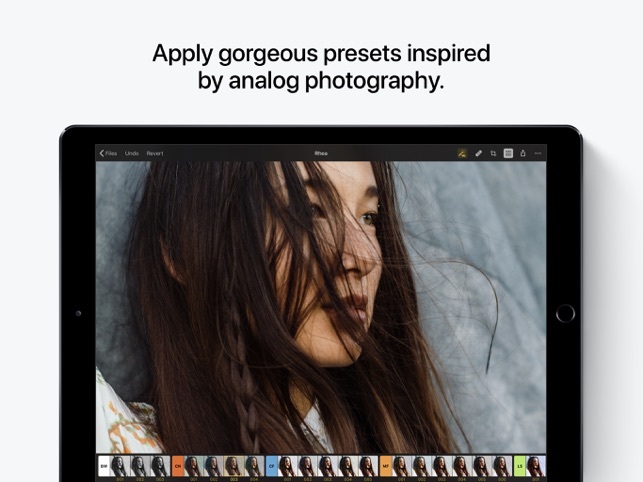 • Grain was being incorrectly displayed in preset thumbnails. Fixed. • Thumbnails would sometimes flicker before adjustment presets were reloaded. Fixed. • The ‘+’ button for adding presets would sometimes disappear. Fixed. • On rare occasions, multiple presets could be selected at the same time. Fixed. • It was sometimes impossible to add points to an edited curve of the Curves adjustment. Fixed. • After device rotation, the canvas would center incorrectly. Fixed. • After rotating the image using the Crop tool, the canvas would center incorrectly. Fixed. • The canvas would sometimes be incorrectly vertically centered when editing in fullscreen. Fixed. • When using the color picker, the Previous color was not being displayed. Fixed. 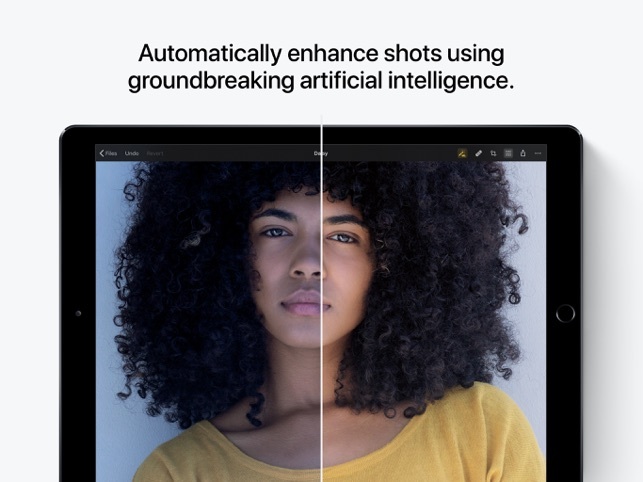 • The color picker history (also found in Pixelmator for iOS) which can be accessed by swiping the Current and Previous colors to the right was not appearing. Fixed. • A number of additional color picker fixes. • A whole host of things could go slightly wrong if the image was moved while the Straighten or Perspective wheels were still decelerating. Fixed. 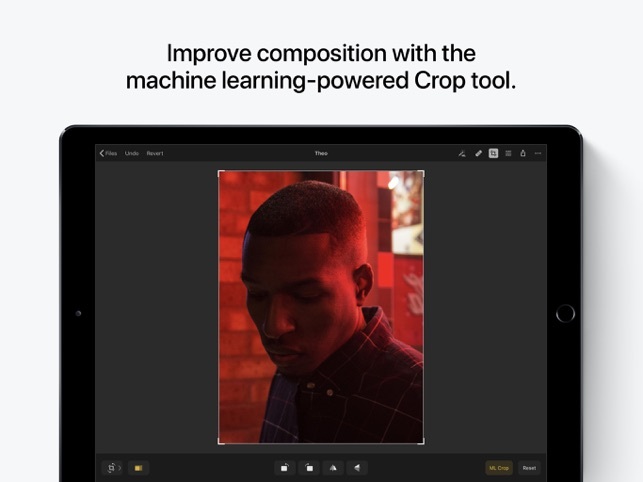 • The Crop tool’s Straighten mode was not working correctly for flipped images. Fixed. • Attempting to repair areas near the edges of the iPad screen would sometimes start panning the image. Fixed. • Fixed a possible issue for repaired areas in images with perspective transformations. • Resetting changes with the Repair tool and redoing those changes would sometimes leave the Reset button enabled. Fixed. • Rapidly tapping the tool buttons in the toolbar could potentially cause Pixelmator Photo to quit unexpectedly. Fixed. 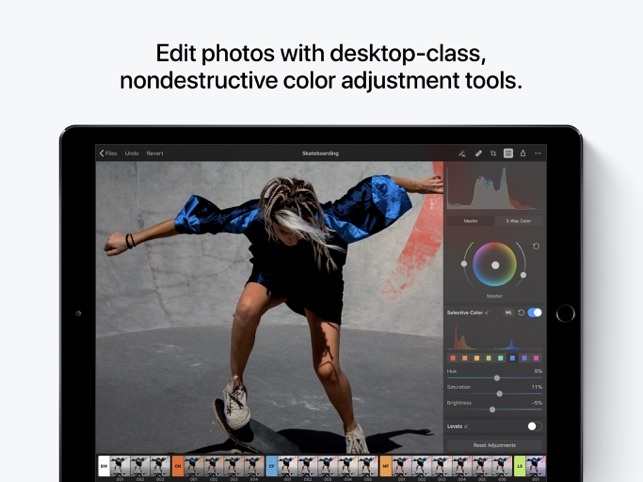 • Disabling an adjustment while a text field is actively being edited and the keyboard is visible would cause Pixelmator Photo to quit unexpectedly. Fixed.